The 90 km long transfagaran highway goes through the second tallest mountain range of Romania. Transfagaran highway connect together curtea de arges village and European route – E68. 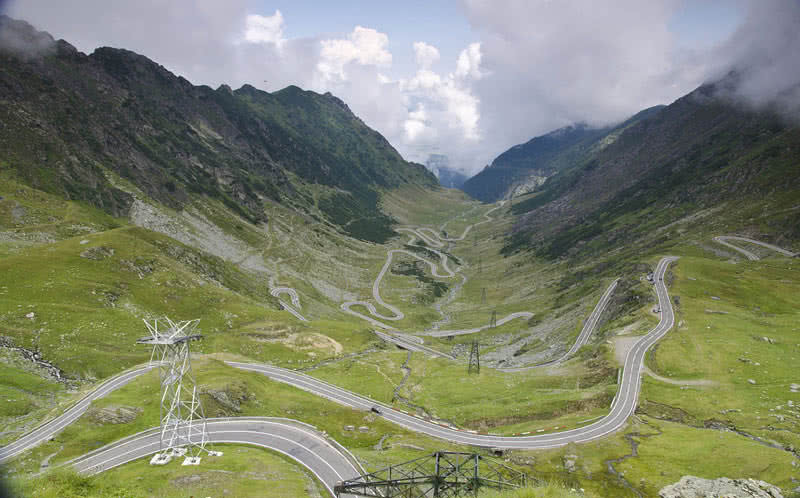 In fact, transfagaran highway opens for travelers and bikers only from June to September. Drivers will meet sharp curves, deep – S curves, dives and slopes at mountain faces. Transfagaran highway will bring close view of beautiful landscapes, oaks, beaches, rivers and lake. Drivers will also meet a beautiful tunnel which passes through the carpathian mountain. Col De Turini is the most highest mountain pass in Alpes range of France. Series of hair pins is the main attraction of Col De Turini. This highway is also one of the main routes for Tour De France rally. Most of hikers and drivers chooses winter and summer to drive on Col De Turini highway. Driving Col De Turini highway will bring close view of Alps mountain ranges. You will also see rivers, rock structures and dense forest during the journey. The thick walls at the edges of road are in good condition which ensures the security. Stelvio pass is the highest route in the Eastern Alps at an elevation of 9045 ft. The 13.35 mile long Stelvio pass connect together Valtellina valley and Merano town. This spectacular road was built between 1820 and 1825 by the Italian engineer Carlo Donegani. There are 48 hairpin turns at this route and they are protected by string sidewalls. 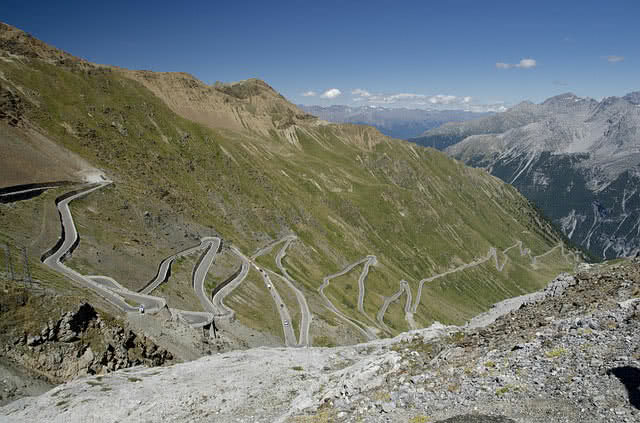 Stelvio pass is one of the busiest high route in Alps. Stelvio pass receives most number of racers and tourists from June to September. There are many vantage points throughout the route. So the drivers could capture breathtaking view of surrounding places. Chapman’s peak drive is the world’s most spectacular marine route that connect noordhoeak and hout bay towns in Capetown. The drive through Chapman’s peak described as ‘9 km travel through paradise’. At en elevation of 1945 ft Chapman peak include 114 curves. The rocky coastline of Chapman’s peak offer stunning view of Atlantic ocean and beautiful beaches. Coastal area of Chapman’s peak also popular for mountain biking, horse riding, paragliding and rock climbing. Drivel through long coastal would definitely give unforgettable experience for motorists, sightseers and runners. 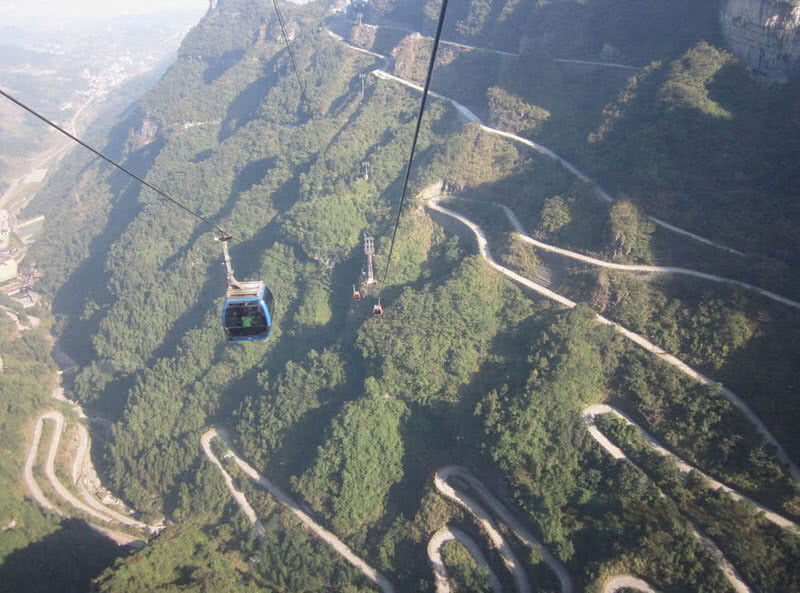 The 6.8 mile long, twisted S road is one of main attractions of Tianmen mountain, located in Hunan province of China. Elevation of Tianmen mountain roads rises from 200 meters to 1300 meters. 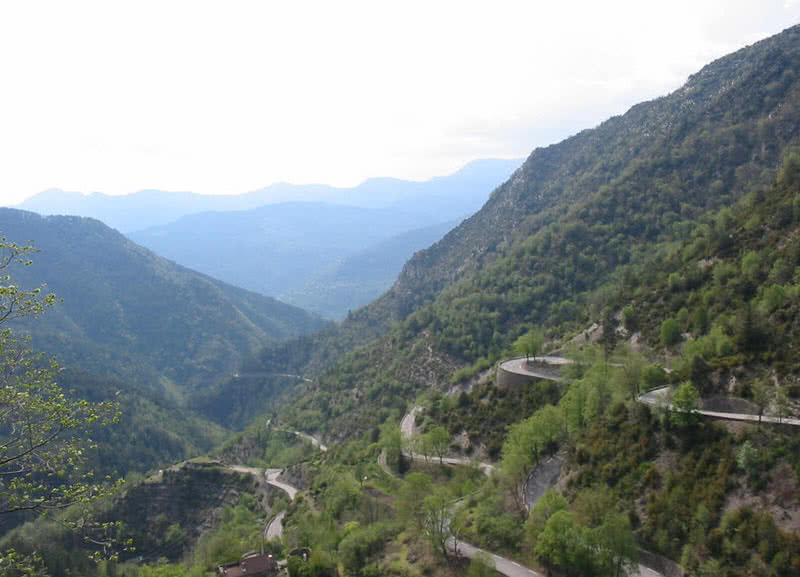 This amazing road also include 99 hairpin bends. It brings panoramic view of surrounding places for tourists and drivers. Tianmen mountain road leads the hikers and drivers to natural arches in the Tianmen mountain known as ‘Heaven ladders’. It is considered as word’s most amazing mountain road ever created. The cable car service at Tianmen mountain is the longest cable car service in the world. It offers outstanding view of mountain ranges of Tianmen. Seven mile bridge is one of the great American infrastructure ever made. With a length of 7 miles, It is also one of longest bridges in the world. This bridge connects together Marathon City and Little duck key of Florida. Actually, Steven mile bridge has two separate path. The older one is uses as railway path. The another one is highway pass and it called as ‘overseas highway’. Spectacular view of Gulf of Mexico and Atlantic ocean is the main attraction you would get on driving seven mile bridge. White Rim Road is a 100 mile long road through Canyon land national park. 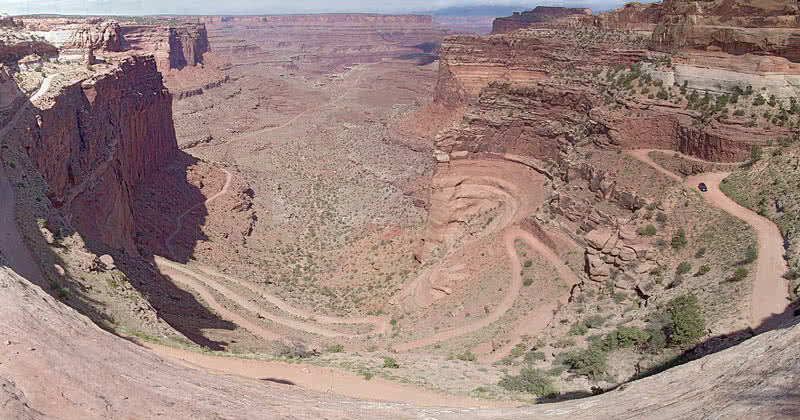 Mountain bikes and other four wheeler take three or four day to complete a trip through this route.White Rim Road is natural pavement, a light-colored sandstone route. The riders demand to have permit for overnight trips. All vehicles must remain on the road itself. The back country activities will be heavily fined. The complete loop on white rim road become impossible during high water conditions due to flooding. Most of sightseers, motorists and hikers apply for permit during spring and fall. The ride through White Rim Road brings expansive view of canyon land national park. The road also bring view of spectacular attractions like natural arches, towers and Indian ruins. 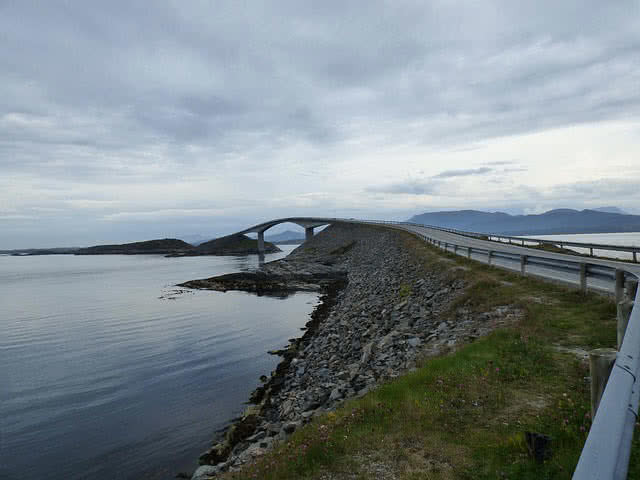 Atlantic road is considered as most fabulous construction of Norway. It also selected as construction of the century in 2005. The 4.9 mile long road connect together Kritiannund and Molde cities of Norway. The road link together number of small coastal communities in the site. A number of sections of the bridge have a zigzang structure. Atlantic ocean road offers outstanding view of Atlantic ocean, rich bird life, seals and even whales for the tourists and drivers. Furka Pass is one of the highest Alpines routes in Switzerland with an attitude of 2431 meters. It connects canton of Valais with Canton on Uri. 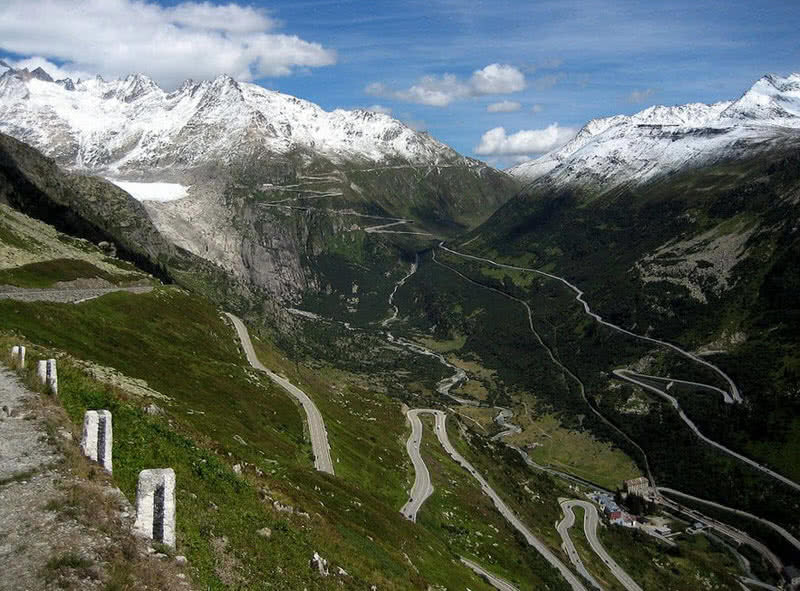 Furka pass is very wide and features many twists and turns. Drivers will always experience mountain breeze as goes through furka pass. During snow fall, it is very difficult to drive. So, furka pass remain closed during winter and heavy snow fall. The zingzang shaped route with bumps and sharp curves offers outstanding mountain drive experience. The glaciers, rock formations and ice lakes are main attractions to see while drive through furka pass. Highway 1 is one of the most lengthiest coastal routes in the world. The 123 mile long route connect Orange country and Mendocino country of California state. It takes more than 5 hours to to complete a ride on highway 1. This route is also known as California state route 1. Highway 1 link together many coastlines and cliffs. It is also one of the most scenic drive through United State. This highway gets most traffic from July to September. Apart from coastal lines highway 1 also include few parts of redwood forests. 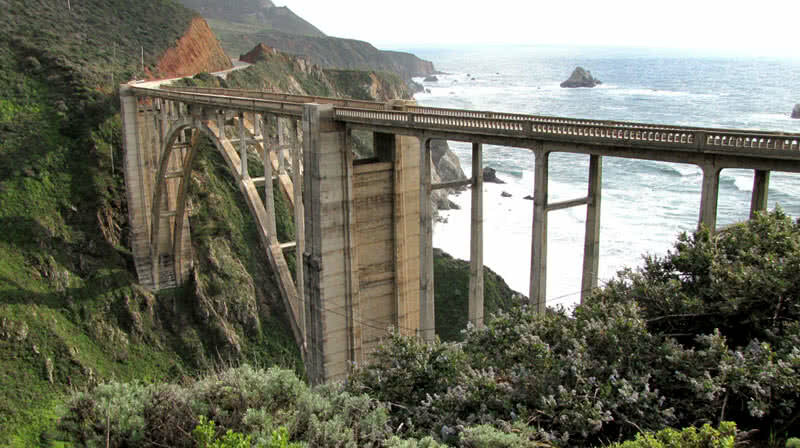 Historic bixby creek bridge and Monterey bay are other attraction of this route.